Did I mention shopping in PJs? 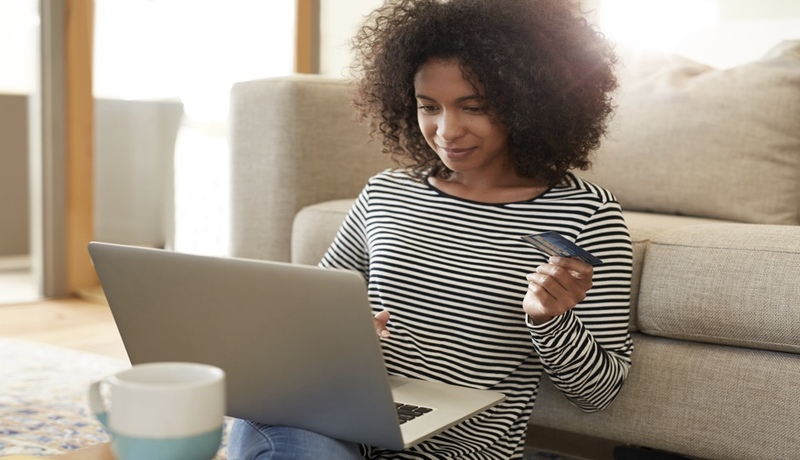 Always looking out for your best style interests, we rounded up the best apps, sites and tips to help you find online shopping savings every time so that your hard-earned money goes even further. Read ’em and weep (knowing that you’ve been paying way too much for online purchases until now). #1. The Honey Plugin automatically applies available promo codes to any online purchases you’re about to make, so instead of Googling “[store name] promo code” every time, the work is done for you. Just download the Chrome plugin, and watch those savings tally up without a single new tab opening. (See how it works here.) Be sure to look out for the new Honey + Amazon feature that shows you when another seller is offering the item in your cart for cheaper. #2. Ebates will give you cash back when you shop online at any of their 2,000 affiliated retailers, including Shopbop, Sephora, Saks and J.Crew. From the moment you view their site for the first time, a $10 gift card bonus is promised to you, so long as you enter an email (therefore agreeing to a lifetime of inbox hits). Shop featured retailers knowing upfront how much cash back is promised, and start saving for free. #3. Retailmenot is the aggregate web version of that TLC show Extreme Couponing, with a virtual library of discount codes on standby. They boast 500,000+ coupons for 50,000 stores and the online shopping savings aren’t just limited to stores — Papa John’s, anyone? #4. Camelcamelcamel isn’t the prettiest site, but it will save you big bucks on Amazon. This free price tracker knows Amazon’s algorithmic ins and outs, so you can tap into insider-savvy tricks like price-drop alerts and price-history charts for the e-tailer. #5. Shopkick actually requires you to go into stores, so you might have to put on pants to use this one. The app gives you rewards points just for walking into stores (even if you purchase nothing) which you can later redeem for store gift cards. It’s kinda creepy, but also kinda awesome. #6. Splender is basically the lovechild of Retailmenot and Ebates, with built-in coupon codes on file and a cash-back system for shopping online through their app. The average user is reported to earn $50 a month in cash back — something we could definitely get used to. #7. Slice is totally bomb for the online shopaholic because it automatically alerts you if the cost of one of your purchases dropped after you paid for it — and it’ll pay you back the difference. Plus, all packages are tracked right there, so you don’t have to worry about missing a package drop-off. Ready, set, go! Start downloading now and watch the online shopping savings roll in — you can thank us later.